AMD Ryzen 5 1600 vs Intel i7-7700k - Are Intel Processors Still Worth It? 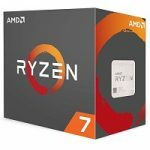 AMD Ryzen 5 1600 vs Intel i7-7700k – Are Intel Processors Still Worth? 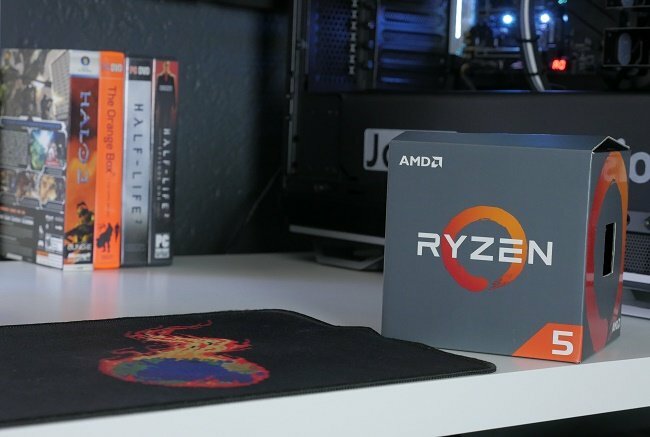 Today we’re taking a look at the AMD Ryzen 1600 up against my i7 7700k to answer the question what is the best gaming CPU for the money right now and is it really worth spending the extra money on an Intel system? Going into this we already know that the i7-7700K is faster than the Ryzen 5 1600 in terms of IPC. This is no secret to most enthusiasts out there that have been following Ryzen since its release. So, the big question is whether or not its worth the added cost for most consumers. The two builds I’m using for today’s testing have both been featured on the channel in the past with dedicated build videos and other benchmarking scenarios. The first system is the Ryzen Gladiator build I just covered recently with the Ryzen 1600 CPU and the Intel system is my Frame Raider build. Both systems were paired with 16GB of DDR4 memory clocked at 2933MHz and an overclocked GTX 1080. For the GTX 1080, I had an additional 200MHz on the core and 300MHz on the memory which saw our core clock hovering around 2025-2075MHz depending on GPU boost. Each of the processors was also overclocked to the highest they’d go and are both at clocks that should be achievable by most people getting these CPU’s. So, the Intel Core i7-7700K was at 5GHz and the Ryzen 1600 at 3.8GHz. As I mentioned that was the highest stable overclock I could get on these CPU’s so that’s why I chose to ran the test this way. I know some people may want to see these CPU’s at the same clock speed, but if I were to downclock the i7-7700K to meet the AMD R7 1600 at 3.8GHz I’m not really sure what that would seek to accomplish apart from crippling Intel’s performance. Yes, it gives us an apples to apples comparison, but realistically who in their right mind is buying a CPU to underclock it. If you happen to disagree with that then I look forward to your criticism in the comments below. Let’s move on to the performance benchmarks. 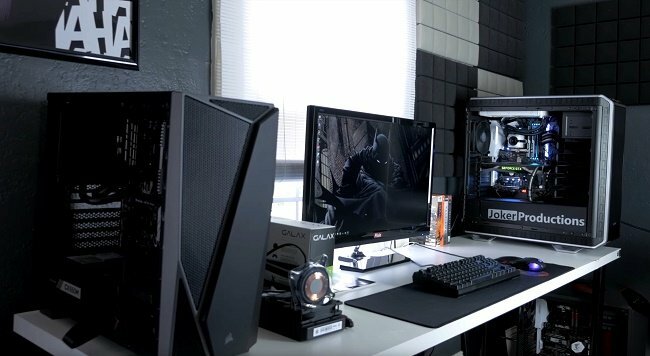 We tested games at 1080p on high settings with the latest Nvidia driver, 382.33. I chose 1080p on high so that we could see which CPU could deliver the most frames per second to the end user. I opted not to include 1440p and other resolutions, as we did in our Ryzen 7 1700 review, as being that this is a CPU comparison, we would only become more GPU bound as the resolution is increased, something that I’ve previously validated in Ryzen vs Intel testing where 4K performance was included. So starting off with the averages here we see a very commanding lead by the Intel i7-7700K, winning by about 10-20fps in the majority of games tested. However, there were a few outliers like Metro Last Light which won by a significant margin to the Ryzen 1600. This is hard to explain as I know that benchmark uses the every thread on a given CPU, but my guess is the IPC factor is coming into play on that benchmark. When testing Rising Storm 2 Vietnam where the largest difference was observed, seeing the i7-7700K average 230 fps versus the 125 on the Ryzen 1600, we see a very specific scenario where the IPC performance of the 7700K helps a lot in terms of performance. The reason for this is that the engine being used is the Unreal Engine 3 and as such is limited here to operating on 1-2 cores that you can see in the thread utilization. So being that the i7-7700K is faster in terms of IPC and is able to be overclocked much more than the Ryzen 5 1600, it’s no wonder why Intel took such a commanding lead in that particular game. This is, however, something we won’t likely see very much of in the future apart from indie games and unoptimized AAA titles. I also wanted to include my graph for the 1% lows as averages only tell one story, but nothing on here really stood out to me, pretty much just more of the same as the averages. The Intel i7-7700K wins out by 10-20fps in the majority of games, with the exceptions being Metro Last Light and Rising Storm 2 Vietnam. So facts and figures aside; with many consumers trying to make a purchase decision should these numbers concern you if you’re contemplating a Ryzen PC Build? For me they’re not as concerning as I feel the additional cores and threads greatly outweighs the game performance and additional cost on Kaby Lake. Ultimately, Kaby Lake can push more frames in this type of testing. However, as you increase graphics options and resolution that difference is greatly reduced. In some cases, it’s even gone altogether. For the instances where it isn’t in doubt, many people can spot the difference between 169 & 187 FPS in a game like Rainbow Siege. There’s also the future to consider where I think more AAA titles will utilize the cores and thread available. I’m seeing that already in new titles like Prey that I tested here, every single thread was utilized and that’s how it should be. So, right now on Amazon for just the motherboard and CPU on the Intel side, you’re looking at $530 to get started before you even begin factoring in the GPU, RAM and other things. The Ryzen 1600 and Asus X370 board I used come in at just over $350. I actually got my board for $105 so if you can find a deal like that you’re gonna have it made, but there are several B350 boards you can get for that price. 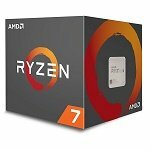 On Amazon right now they have an MSI and a Gigabyte bundle for the AMD Ryzen 5 1600 CPU at $310 with the motherboard included. For those of you keeping track that is less than just the Intel i7 7700K I used here today. So that’s really what you need to consider. 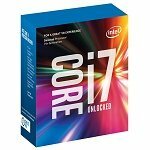 Is The Intel i7-7700k Worth it? Is it worth spending an extra $200 or more for an Intel CPU and motherboard combo to get this level of performance? If you want to throw a 1080 Ti and pair it with an Intel i7-7700K and a 240hz monitor, then sure its worth it I guess. But for most people it probably won’t be and the likelihood you’ll ever feel the performance loss is unlikely especially with a cheaper GPU or increased resolution.